News and information about Sutter Auburn Faith Hospital located in Auburn, CA. 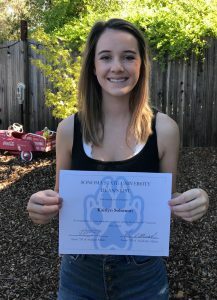 To recognize students’ outstanding academic achievements and a demonstrated commitment to health care, the Sutter Auburn Faith Hospital Foundation scholarship program provides financial support to students who are have been accepted into an accredited college program in a health care field. Congratulations to this year’s scholarship recipients: Ashley Noder, Kaitlyn Solomon, Cassidy Noder and Emily Thurmon. Ashley Noder is a Placer High School graduate and is currently in her final year in the BSN program at West Coast University in Doral, Florida. She received a $2,500 Marion Rains R.N. Scholarship and after graduation, she plans to work and pursue her master’s degree. 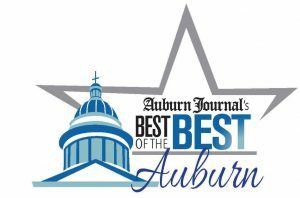 Auburn – Sutter Auburn Faith Hospital and the Auburn Urgent Care Center were both chosen as the ‘Best of the Best’ in the Auburn Journal’s 2017 reader poll. For the second year in a row, both Sutter Auburn Faith Hospital and Sutter Medical Foundation have received an Auburn Journal Readers’ Choice Award as Best Medical Facility and Best Urgent Care in Auburn, California. With more than 50 years in the community, Sutter Auburn Faith Hospital is deeply rooted in this region, providing affordable, patient-centered care. Karen Budde, center, thanks the SAFH Infusion Center staff for her new blanket. Auburn – For a patient dealing with cancer, a small gesture can sometimes brighten a whole day. Such was the case for Karen Budde, a Sutter Auburn Faith Infusion Center patient, who was surprised with a free blanket during her treatment this week. Gold Rush Subaru of Auburn in partnership with the Leukemia & Lymphoma Society donated dozens of blankets to cancer patients at Sutter Auburn Faith Hospital and Sutter Roseville Medical Center. The donation is part of the Subaru Loves to Care initiative that is teaming up to spread warmth and hope to those fighting cancer across the country. Auburn — Looking to make a difference in the Auburn community? Consider volunteering at Sutter Auburn Faith Hospital. The hospital is looking for volunteers to join its diverse team. As a volunteer, you will have the opportunity to help others in several areas of the hospital, including the hospital gift shop, lobby information desk and many other hospital departments including the emergency department and patient registration area. Auburn – With the summer nearly upon us and a long holiday weekend approaching, it’s important to remember to protect your skin while enjoying time with family and friends outdoors. May is Skin Cancer Awareness Month and Barton Bradshaw, M.D., from Sutter Auburn Faith Hospital answers the most frequent questions about sun protection and provides tips to keep you protected all summer long.